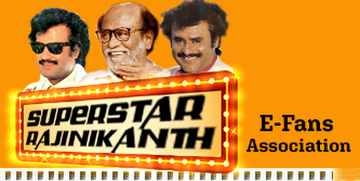 Watching Thalaivar's movies is like a festival occasion. If it is in Japan, it's a bonanza. D-Day on Oct 28th 2005. CM will be screened on Oct 28th. We all geared up for the midnight show which starts at 12:50 AM. We are set with SS Photos and T-shirts with Japanese fans in my office. Crowd starts to pouring in and there was a excitement creeping in. Checked with the theatre owners and confirmed the timings again. Believe me there are only 8 Indians in the theatre which has the capacity of 250. He was amazed by the response he got for the movie. He has promised us that Shivaji will be released on the same day all over the world. He has planned to release Veera and CM again in mid next year. This is a very good news for all the Japanese fans. Thalivar is very fast in stunts and style. They liked very much. 8 Indians cannot beat the craze of Japanese crowd. they ar clapping and wistiling. We dropped of and enjoyed the Japanese crowd's mischeivious. When the Superstar logo was projected in the screen, everyone screamed "aiay aiay aiay...." and the introduction scene's response was fabulous. Every stunt scene gets applause and they liked the stunt scenes very much. 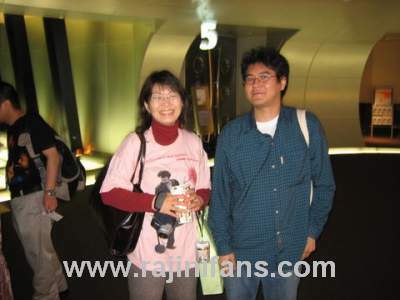 Movie was translated in Japanese words down the screen and the they enjoyed by learning the translation. 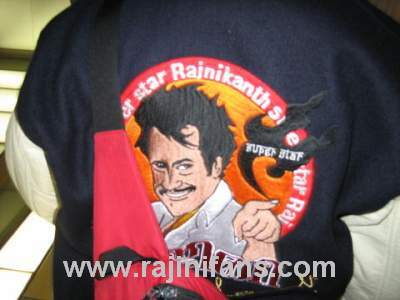 Gimmicks like thalivar coming in 10 faces and "pattam" changes as superstar gets a roaring response. Final song and fight gets thunderous response for the Japanese crowd. applause for 2 minutes still heard in my ears. I have not see in any part of world. I had watched the thalivar movies in all parts of the world and this is special indeed. After getting the thunderous applause, we are over whelmed and it never came out of the mind. One of the moment which I cherish in my life. There is no doubt Thalaivar rules in Japan and excitement continues for the next film called "Shivaji" which is going to be a cracker. I wish I will be in Japan during that time. Watching Thalaivar movie in India and getting claps is special Watching Thalaivar movie in unknown territory and seeing the response is something special.